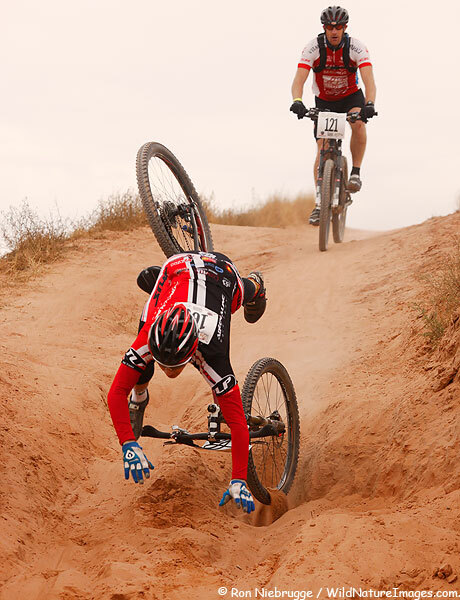 Did anyone else feel like they hit a pothole and were thrown over the handlebars when they heard about Lance Armstrong last week? As you probably know by now, he announced that he would not fight the doping charges that the USADA (U.S. Anti Doping Agency) had brought against him, saying “I refuse to participate in a process that is so one-sided and unfair.” That ‘one side’ includes evidence that he had used both performance enhancing drugs and blood transfusions during his professional cycling career. By making this decision, it’s likely that he will be stripped of all seven Tour de France titles, his Olympic Games bronze medal, as well as much of his winnings. That’s when my brain did an endo into a ditch: Lance Armstrong would give up the very thing that defined him: seven time Tour de France champion? How could he possibly do that? Sad to say, it’s very likely that by refusing to fight for his honor it’s the only way he thinks he can hold on to some semblance of it. Because the more I’ve read of the USADA’s case against him, he would very likely be publicly disgraced and have much much more to lose. He’s not the only one; we his fans would lose an athlete we so greatly admired and wanted to believe in—a man who overcame an illness that nearly destroyed his body and then went on to make that body perform better than many of the fittest athletes in the world—for seven years running. Who really wants to stop believing in that? Not I. And certainly not anyone who has benefited from or is connected to LiveStrong, the foundation that Armstrong admirably set up to fight cancer. That’s what makes this ‘witch hunt’, as Armstrong has referred to the case against him, oh so more complicated. Because Armstrong, like the rest of us with lesser VO2 max than he, has made both good and bad decisions in his life and the LiveStrong Foundation is unquestionably one of his best ones. Even if we could throw Armstrong into the drink to see if he’s truly guilty or not (a classic 16th century witch hunt practice), the verdict wouldn’t just affect him. If he were to float (a sign of guilt), the hopes of many cancer sufferers would undoubtedly sink, innocent as they are. It doesn’t seem fair. And yet, does doing good make a wrong any more right? Would it be better to let the USADA and the WADA and the UCI have their say and look the other way? I don’t think I can anymore, not when many of his past teammates are now ready to step forward and testify against him. One of those teammates, the Olympic gold medal winning (and then losing) Tyler Hamilton came clean just over a year ago and spoke on CBS’s 60 Minutes about what he witnessed. It’s fascinating and disturbing, especially when he ‘bets his life’ that every single team on the tour had guys doping. You get the strong sense that Hamilton didn’t feel he had a choice: it was do it or lose it. But just because everyone is doing it (and many getting away with it) still doesn’t mean it makes it fair or excusable, and at some point the tire is going to blow. Or in this case, the whistle. In a statement addressing his decision not to fight the case, Armstrong said “There comes a point in a man’s life when he has to say, ‘Enough is enough.” Well, many of us have reached that point also, to no longer give him the benefit of the doubt. If an athlete with Armstrong’s means won’t go through the process to prove that he’s in the right, if he refuses to face his teammates and others who once were close to him, then how can we continue to believe in him? Another Armstrong was in the news this past week, one who never sought the limelight, and felt his teammates deserved much more credit than he for his own ‘superhuman’ accomplishments. Lance might take Neil Armstrong‘s famous words to heart. By owning up to the truth, he would still lose his titles, but he would gain a small measure of honor for himself and help ensure that all sportsmen and women perform ethically and honorably, now and into the future. It would be “one small step for man, one giant leap for mankind.” That is something I could believe in. This entry was posted in cycling, ethics and tagged cycling, doping, lance armstrong, neil armstrong, tyler hamilton. Bookmark the permalink. you nailed it, Tracy; Lance, one of the great heroes this side of Muhammed Ali; I always believed he was clean; dope! It’s amazing to me that the entire sport of cycling seems to be awash with performance enhancement abuse. The entire sport has become corrupted. Other sports have occasional bad eggs, but it seems that of ALL sports, cycling is number-one in terms of cheating. It’s pathetic. TJ: Great take on a complex situation. I never thought of the obvious compare&contrast exercise with the other Armstrong in the news, the one who demonstrated true character throughout his life. This story is not quite over yet. 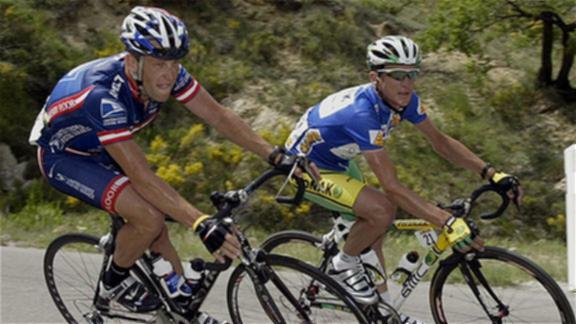 Bruyneel has agreed to arbitrate and the rumored testimony of 10+ Armstrong teammates may yet see the light of day. As a licensed bicycle racer since 1985, and one-time competitor against Lance himself, I am eager for these skeletons to come out. I will admit to being thrilled by Lance’s sporting performances for many years, but I’ve always known he and his contemporaries were doping. ‘J Pru,’ it would seem that pro cycling is much worse than other athletic sports, but it’s not actually true. Non-athletic professional sports, unassociated with the IOC, have no real mechanisms for detecting and punishing illegal enhancements. MLB, the NFL, etc. do not have organizations like USADA or WADA monitoring their activities. You can rest assured that HGH, T and other chemical techniques are de riguer in these sports. The Balco case an obvious exception. Other athletic sports that are marginally “professional” (track & field, swimming, XC skiing) do not enjoy the same testing protocols that cyclists do. While it’s not readily apparent from the United States, pro cycling is somewhat unique in that it attracts big sponsorship money, pays gigantic salaries to its stars, yet has to meet the same athletic standards of “cleanliness” of any other Olympic sport. This is why doping has always been an issue, even more so in the last 10 years as the sport has been trying to clean itself up. The sporting world can thank pro cycling for the Biological Passport program; it’s flawed, but it’s already proven itself. In my social circles (generally populated by men with shaved legs, gigantic attitudes, and a need to crush other men into submission, long after youth has flashed its Expiration Date) Lance is still considered the winner of those 7 tours, even if he cheated in every single one. In almost every one of those tours, the 2nd, 3rd, and 4th place riders have all been busted for doping sometime during their careers. On the other hand, Lance was a true bully inside the peloton, and nobody I know could ever imagine him coming clean. Nearly every other rider (see Jonathan Vaughters’ most interesting public confession in the Times earlier this month: http://tiny.cc/fghxjw) has implicitly or explicitly thrown in their mea culpas. Lance never will, which means he’ll always be part of the problem in sport and ethics, and never part of the solution. Which is why I wished he would have fought the charges and then lost in the most humiliating way possible. But, as you point out, he took the only path possible for Lance. Great post. I hate to be so blunt, but he is a fraud, representing a dark side of our country’s “do ANYTHING to win” ethos evident in everything from business to sports to politics. I threw out his book I so enjoyed and admired. And yes, it is Neil’s story that is timeless.